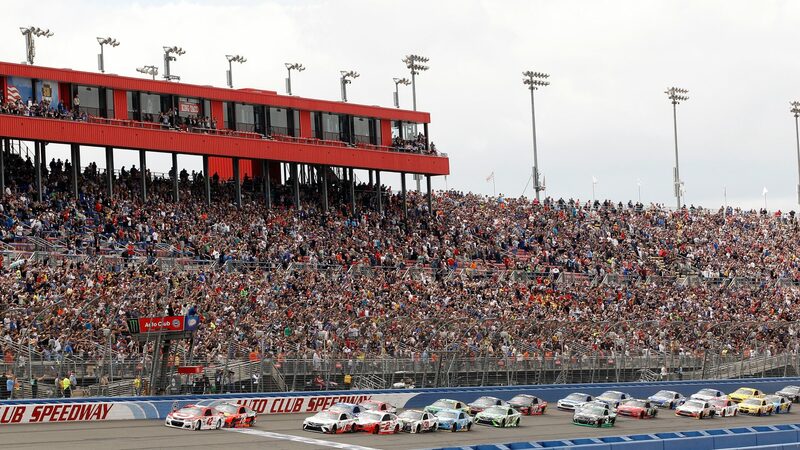 NASCAR will this weekend travel to Fontana, California for a double header at Auto Club Speedway. NASCAR Xfinity Series and Monster Energy NASCAR Cup will race this weekend while the Truck Series is off. Auto Club Speedway, formerly California Speedway, opened for racing in 1997. The track is a 3 km (2 mile), D-shaped oval superspeedway. Surface is paved with four turns. Banking in turns; 14°, backstretch; 3° and frontstretch; 11°. Track record, for NASCAR Series, is held by Denny Hamlin with 188.511 mph in March 2016 during qualifying. Most wins by an active driver at Auto Club Speedway is Jimmie Johnson with 6 wins (23 races). Grandstand seating capacity: 68,000. Bonus facts: Most laps led by winner is Mark Martin with 165 laps (March 5, 1998). The youngest winner is Kyle Busch at the age of 20 (April 9, 2005).